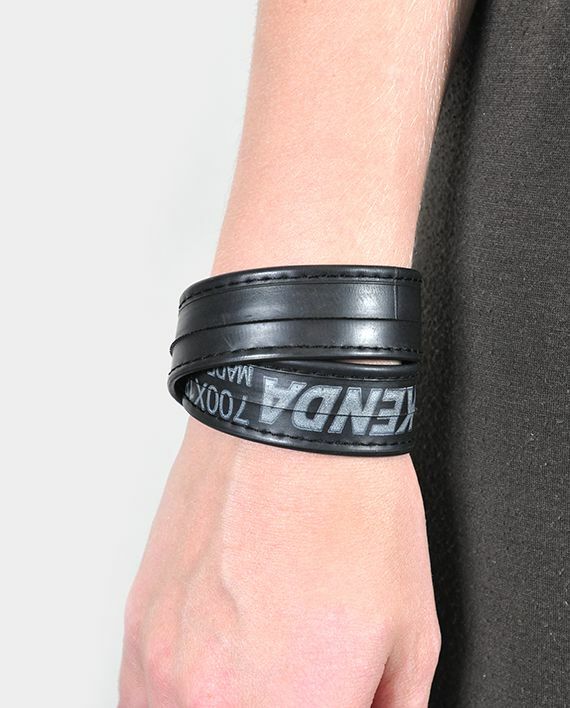 Each bracelet is handmade in the USA from a single piece of 3/4″ wide reclaimed bike inner tube. We clean and polish the tube then round cut the ends. The bracelet features a low profile, antique brass closure stud for easy removal. Due to the nature of the material, each cuff will be unique. 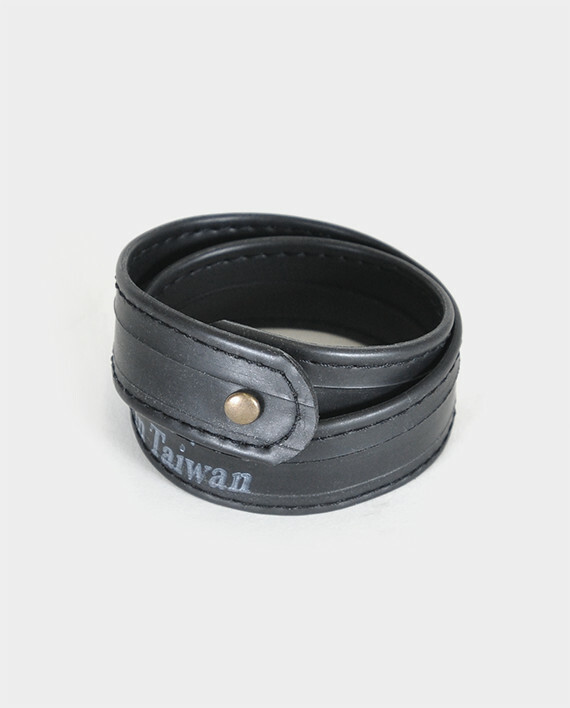 Some cuffs may feature worn and/or faded text from the original inner tube manufacturer. Large: 16", Medium: 15.5", Small : 15", X-Large: 16.5"